In September 2018 I fulfilled myself a dream and travelled through Central Asia for the second time. After having been in Uzbekistan in 2016, I also wanted to see the south of Kazakhstan, Kyrgyzstan and Tajikistan. On this trip, I took many beautiful photos of which I show you the best in this blog post. The starting point of my trip was the former Kazakh capital Almaty, which is located in the south of the country. From there, my journey took me to the Charyn Canyon just 100 kilometers from the Kazakh-Kyrgyz border. In Kyrgyzstan, I visited Karakol, Jeti-Ögüz, Bokonbayevo, Song Kol Lake, the Chong-Kemin Valley, the Burana Tower and the Kyrgyz capital Bishkek. From there, I flew via Almaty to the Tajik capital Dushanbe. 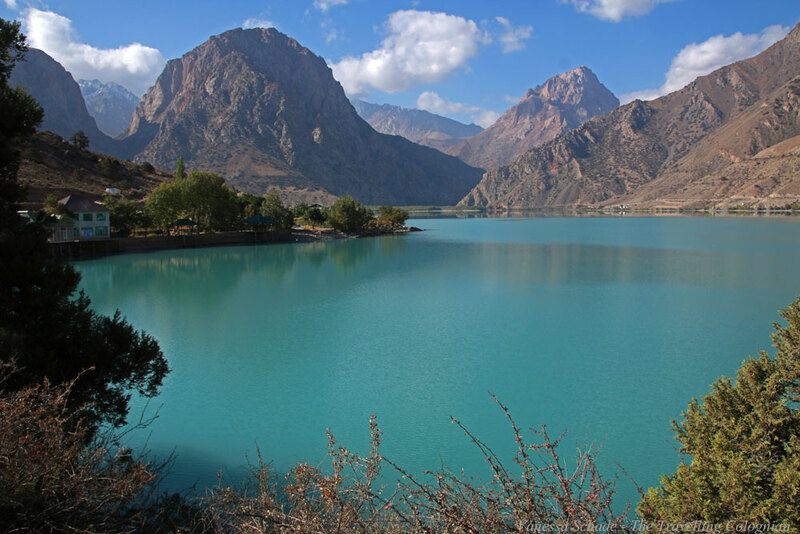 In Tajikistan, I travelled overland to the Fann Mountains, to Iskanderkul Lake and to Tajikistan’s largest market in Khujand. I finished my trip in the Uzbek capital Tashkent. Almaty is the largest city in Kazakhstan and lies in the south of the country. I spent a total of three days there, as the city has a lot to offer for both locals and visitors, with Zhibek-Zholy Pedestrian Street, Panfilov Park, Green Bazaar and many other sights. The Ascension Cathedral, also known as Zenkov Cathedral, was renovated during my visit and was unfortunately completely covered. 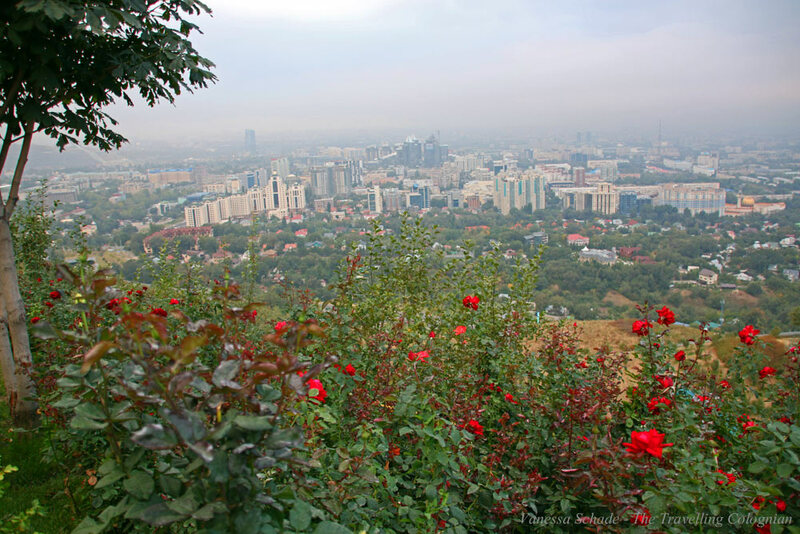 You get the best view of Almaty and the surrounding area from the Kok Tobe mountain, although it is often misty and the surrounding mountains cloudy. 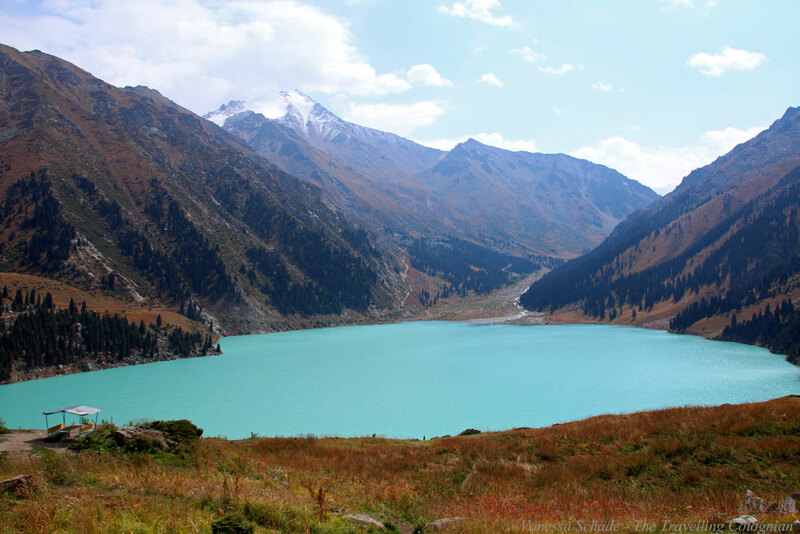 Big Almaty Lake is located about 30 kilometers outside of Almaty at an altitude of about 2,500 meters above sea level and impresses with the rich turquoise of its waters. The lake is one kilometer long, 1.6 kilometers wide and 40 meters deep. The Charyn Canyon is located in southern Kazakhstan, only 100 kilometers from the Kazakh-Kyrgyz border and is often compared to the Grand Canyon. 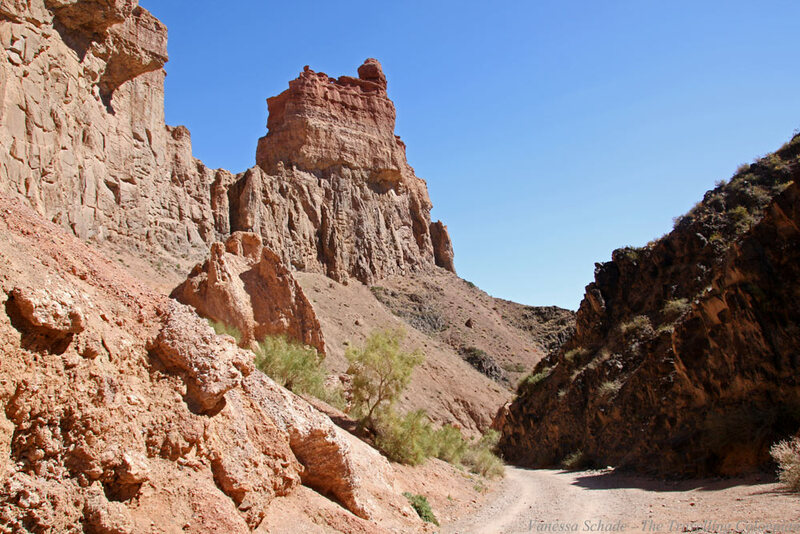 The canyon stretches over a length of three kilometers to the Charyn River. The rock formations have evolved over millions of years and are up to 300 metres high. Karakol is located in the northeast of Kyrgyzstan at the eastern end of Issyk-Kul Lake and is the fourth largest city in the country. 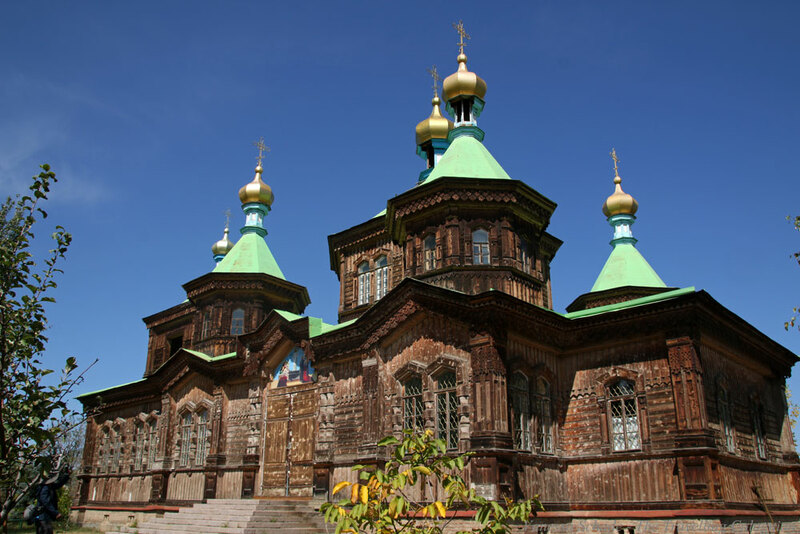 The most important sights are Przhevalsky’s tomb and the Przhevsky Museum, the Dungan Mosque and the Russian Orthodox Cathedral, which, like the mosque, was entirely built of wood and without any nails. 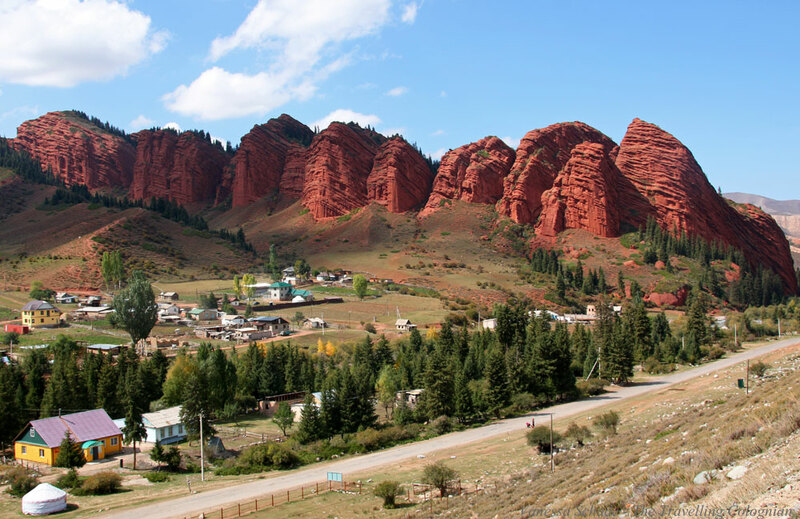 The Seven Bulls of Jeti-Ögüz are a red sandstone rock formation in the district of Jeti-Ögüz in the province of Issyk-Kul, which was declared a geological reserve in 1975. 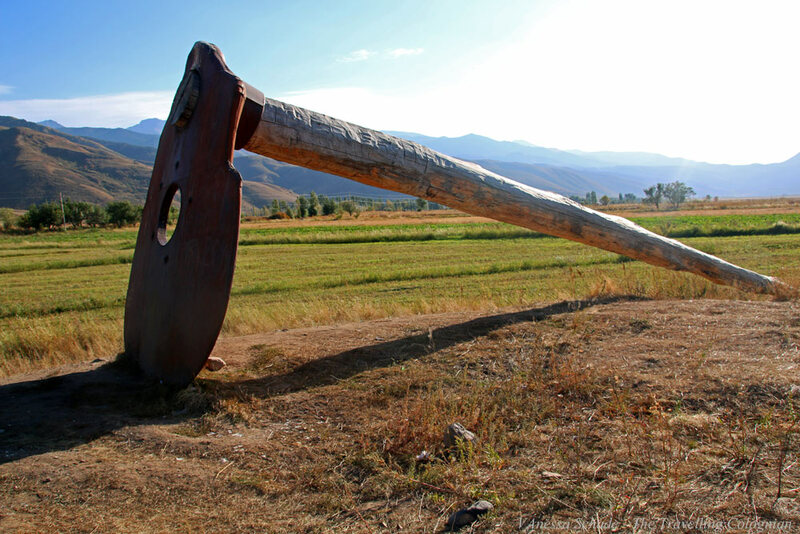 This is now a well-known landmark in Kyrgyzstan, which bears the name “seven bulls” because it reminds of the seven bulls from a legend told about the unfaithful wife of a former khan. The village of Bokonbayevo has almost 11,000 inhabitants and is located on the southern shore of Issyk-Kul Lake. The place serves many travellers as a base for walks and treks in the southern mountain ranges of Kyrgyzstan. 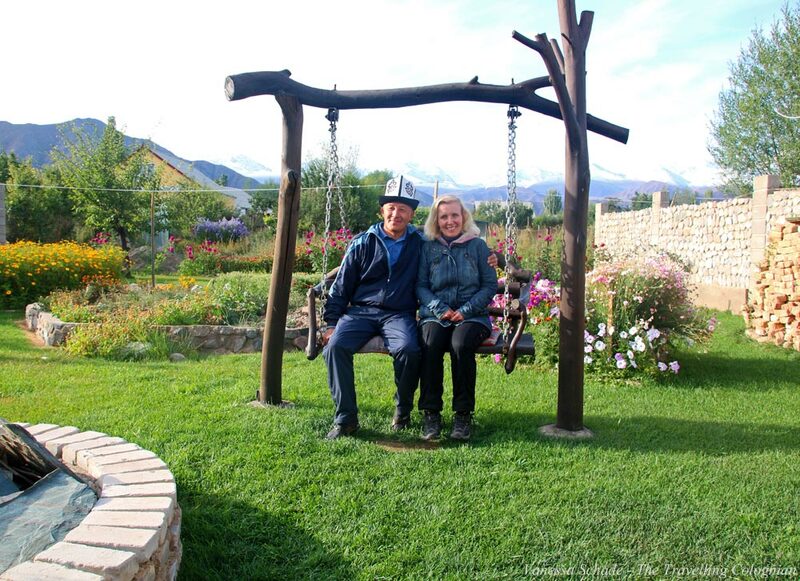 Probably for this reason, a few homestays have opened in Bokonbayevo, welcoming their visitors with true Kyrgyz hospitality. 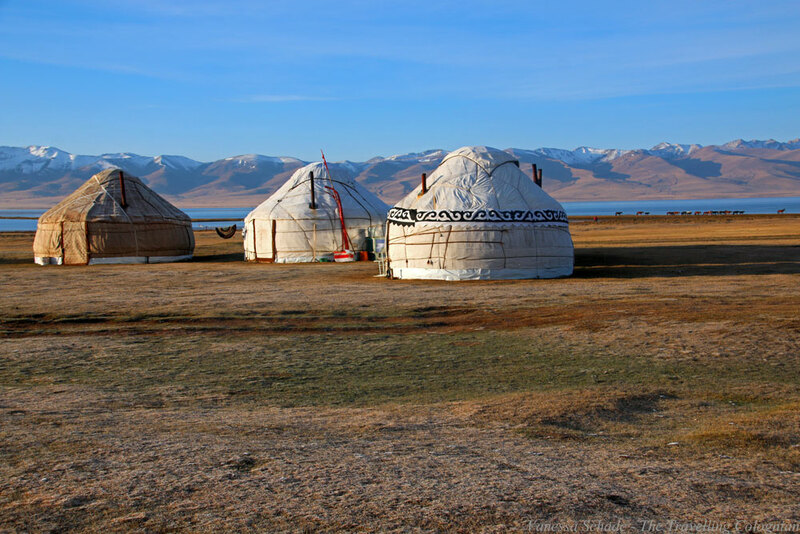 Yurts are the traditional accommodation of nomads in Central Asia and Mongolia and are also common in Kyrgyzstan. 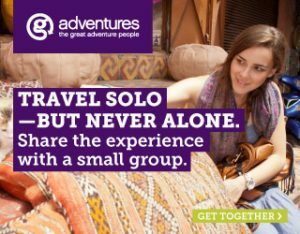 After an overnight stay in a yurt in the Tianshan Mountains in Xinjiang Province in northwestern China in October 2014 and another night in a yurt in the Kysylkum Desert near Aydarkul Lake in Uzbekistan in July 2016, I also stayed in yurts in Jeti-Ögüz in September 2018 and at Song Kul Lake in Kyrgyzstan. I particularly liked the yurt stay at Song Kul Lake because of the unique landscape. 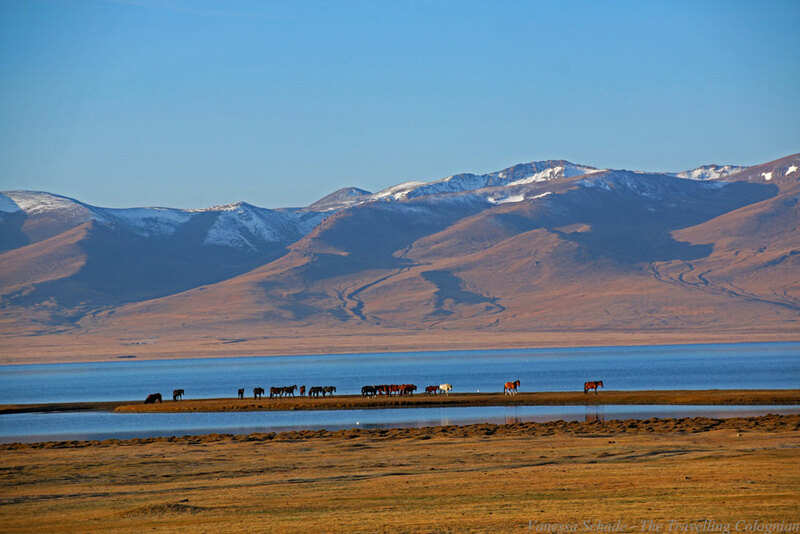 For me, the most amazing experience was to watch the sunrise over Song Kul Lake and see the horses in front of the lake and the mountains. On the way from Song Kul Lake to the valley of Chong-Kemin, I had an animal encounter. 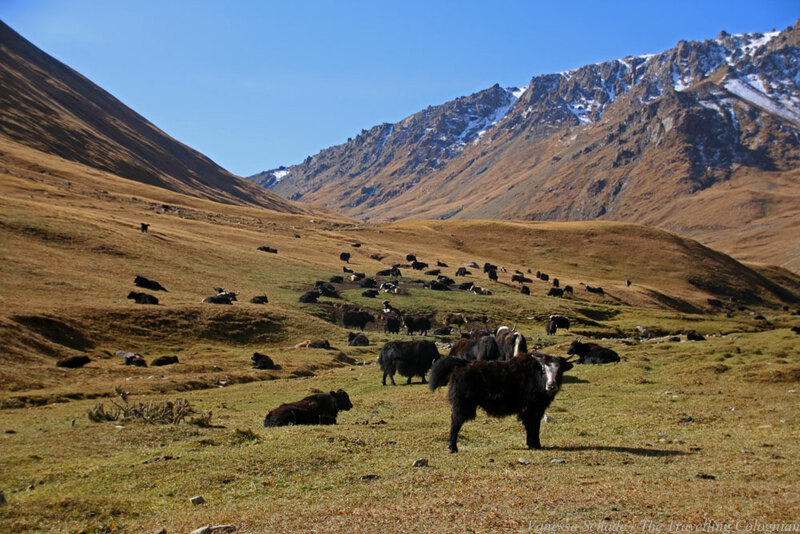 In the mountains of Kyrgyzstan, I saw a yak herd. I had seen yaks in Tibet and Bhutan, including herds, but it was the first time I saw such a big yak herd at close range. 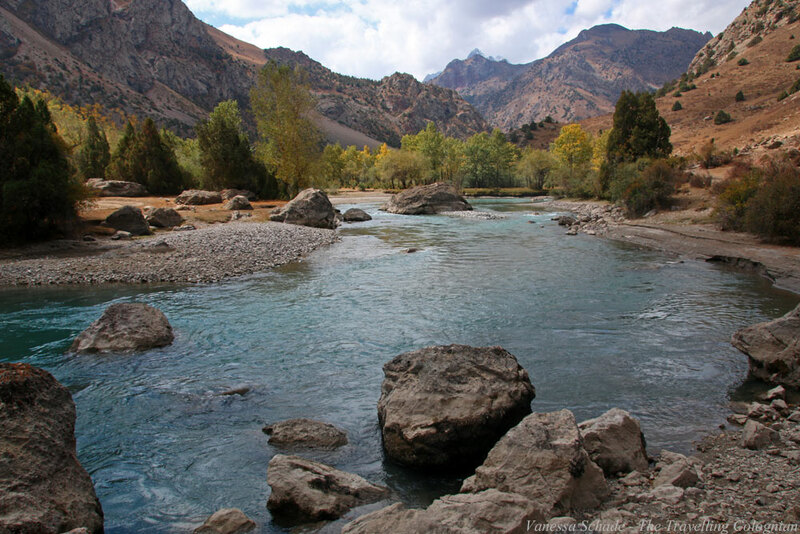 Chong-Kemin in northern Kyrgyzstan is known for its picturesque valley, the Chong Kemin Gorge and the river of the same name. On a hike near my guest house, I didn’t only admire the beautiful landscape but also this work of art. 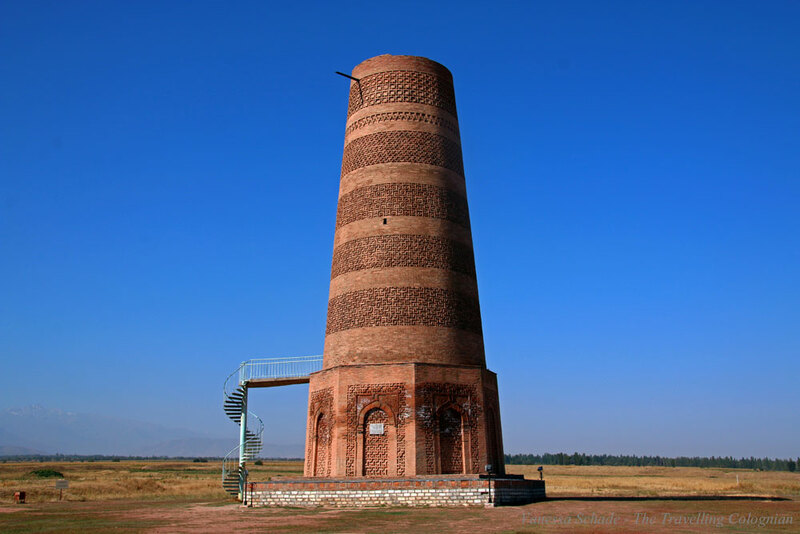 The Burana Tower is located about 85 kilometers from the Kyrgyz capital Bishkek and stands lonely and abandoned in the countryside. It dates from the 11th century and is said to have been a minaret. This makes it the oldest structure of its kind in Central Asia. The almost 22 meters high tower is said to have been 45 meters high. 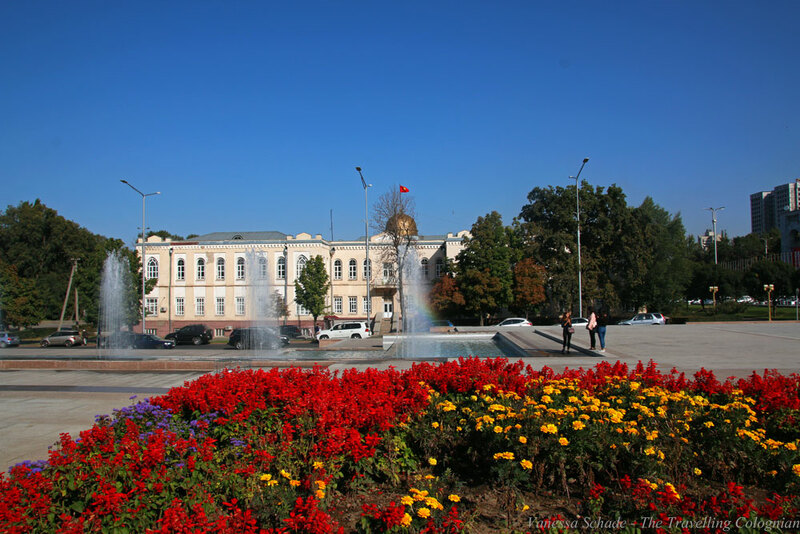 The Kyrgyz capital Bishkek does not offer as many sights as other cities. The most well-known are Ala-Too Square, the Houses of Parliament – also known as the White House in Washington – the Osh Bazaar, Panfilov Park and the History State Museum. I particularly liked the flowery decoration on Ala-Too Square in front of the Ministry of Culture, Information and Tourism. 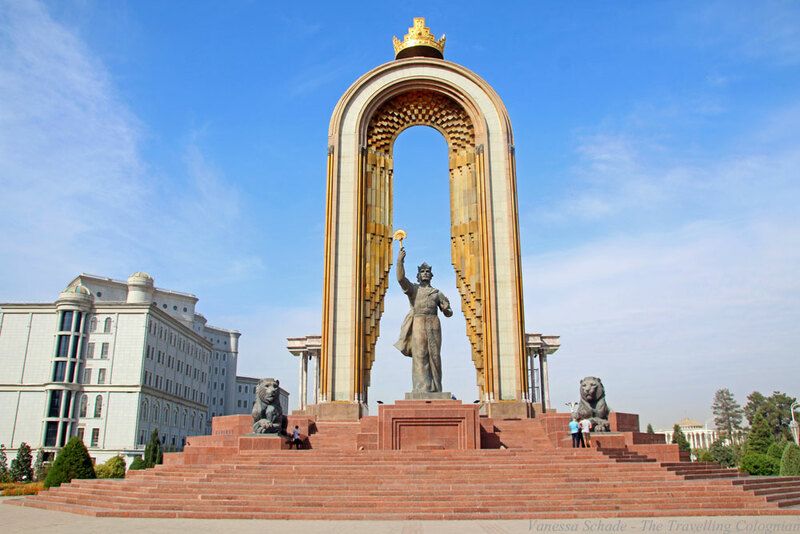 The Ismail Somoni monument in the Tajik capital Dushanbe is lavishly decorated with gold and was built in 1999 on the occasion of the 1100th birthday of the Samanid state. It was named after Ismail Somoni, who founded this Samanid state in Central Asia. The Fann Mountains in Tajikistan are almost 5,500 meters high and belong to the western Pamir Mountains. The landscape is absolutely breathtaking. I spent two nights in a homestay near the village of Sarytag and the Iskanderkul Lake and during this stay, I went on hikes to the village and the surrounding area. The market of Khujand in northern Tajikistan is considered the largest in the country. 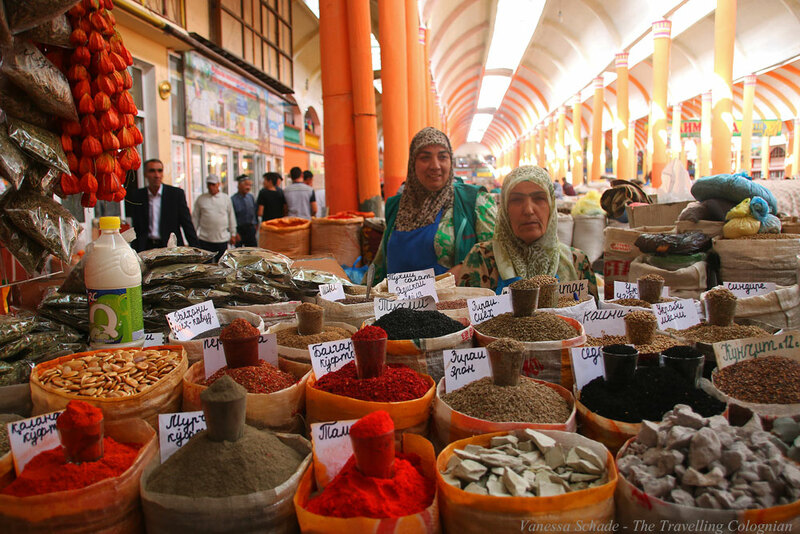 I love to stroll over the markets all over the world and I mingled with the locals during my visit to Khujand. I particularly like the spice stalls that glow in all colors. At the stalls of these two Tajik female traders, I have seen different varieties of chili peppers in different shades of red. Song Kul Lake is the second largest lake in Kyrgyzstan with an area of 278 square kilometers after Issyk-Kul Lake and is located at an altitude of just over 3000 meters above sea level. I spent a night there in a yurt, and just after sunrise took this picture of the horses off Songköl Lake and the mountains. This is certainly one of my most beautiful photos and I would spontaneously call it my most beautiful photo from Central Asia. These are my best photos from Central Asia. Have you been there? Which photo did you like the most? If you liked this article and my photos, please leave a comment and follow me on Facebook, Twitter, Instagram and Google+ and share this article on social media.